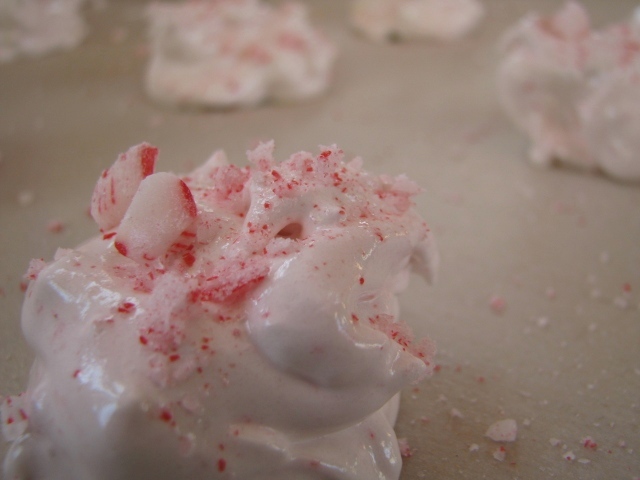 So I started plowing through my stack of magazines here in the kitchen and decided something with peppermint would be very fun and festive as well as delicious. Try these. They're really fun and really tasty. 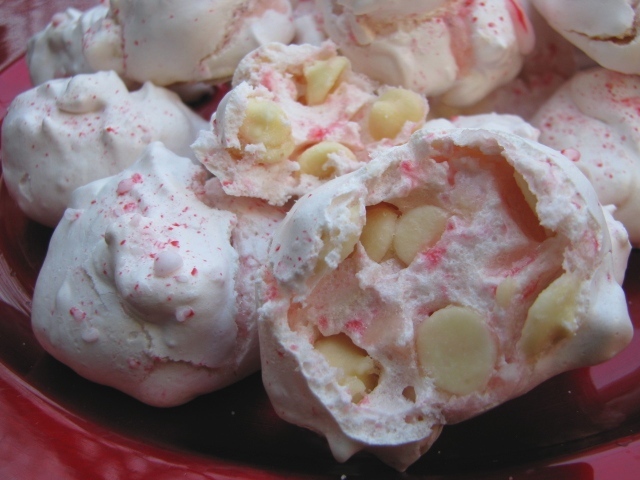 crush all the peppermint candies. measure out 3/4 cup of sugar in a separate bowl. 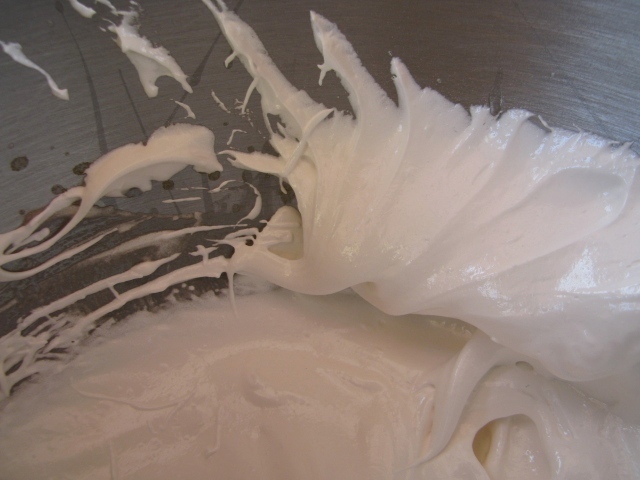 beat egg whites and cream of tartar using your whisk attachment until soft peaks form. add vanilla and a dash of salt. turn your mixer up to high. add 1 tablespoon of the sugar and beat another 15 seconds. slowly drizzle in the rest of the sugar. it's going to have kind of a marshmallow consistency. 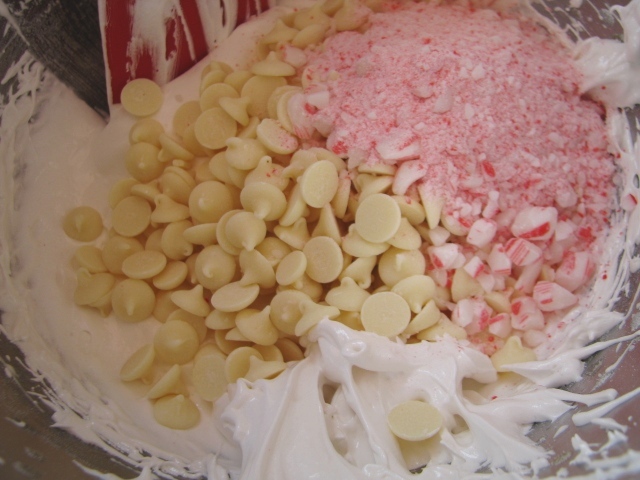 gently fold in the white chocolate and 1/3 cup of the crushed candy. you should have enough to fill two baking sheets. 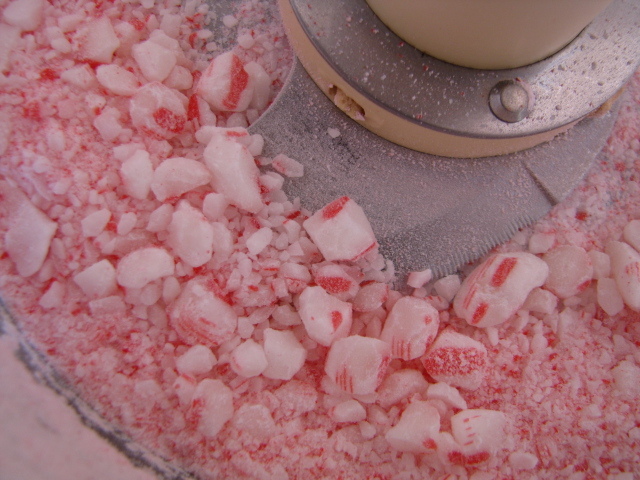 sprinkle a little more of the crushed peppermint candies on top. 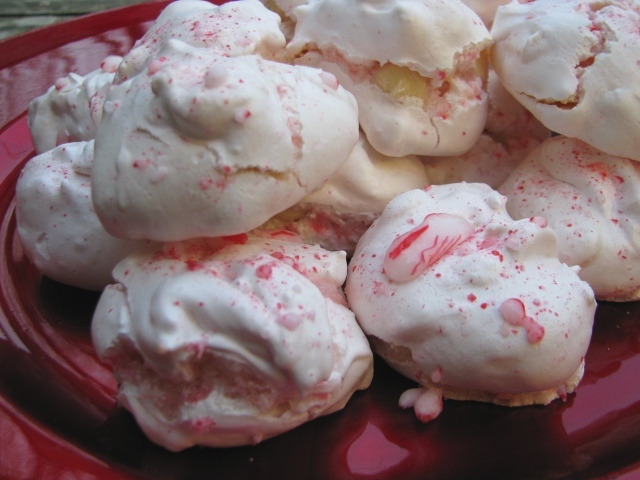 put meringues back into the oven with the door propped open.